Protea Hospitality Group has acquired the Mbweni Ruins Hotel on the coast of Zanzibar. The Mbweni Ruins Hotel is a beachside 13 room property built in 1877 located five kilometres from Zanzibar International Airport. 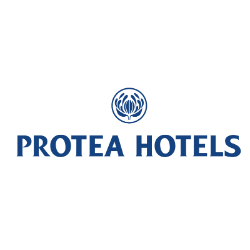 The hotel was formerly part of the Adventure Camps Group but has now been acquired by Protea as it seeks to continue its expansion throughout Africa. The hotel group is the largest hotel group in terms of numbers of hotels in Africa, with the widest network, owning over 100 hotels spread across South Africa, Tanzania, Malawi, Nigeria, Namibia, Zambia. “Africa is the future of hospitality and there is room for companies with trusted, recognised brands to expand rapidly,” stated Protea Hospitality Group CEO Arthur Gillis. With annual tourist earnings in East Africa expected to increase from USD 7 billion currently to USD 16 billion in 2020, a number of large hotel chains including Hilton Hotels, Imara Africa Equity Research and Best Western are looking to expand their operations in the region.